Managing deployments of mobile technology is easy with PC Locs. PC Locs helping Como Primary School manage their iPad devices with the Carrier 40 Cart™ and iQ 30 Cart™. Mobile devices, such as the iPad and others, continue to grow and be used as learning and teaching tools in Primary Schools. Como Primary School has implemented iPad and iPad mini into their learning program with over 90 devices for students to share. Penny Herne, Vice Principal at Como Primary School, said that the teacher would book hour block sessions during the day for students to use the iPad devices. Ms Herne: “We store all of our devices in PC Locs products. 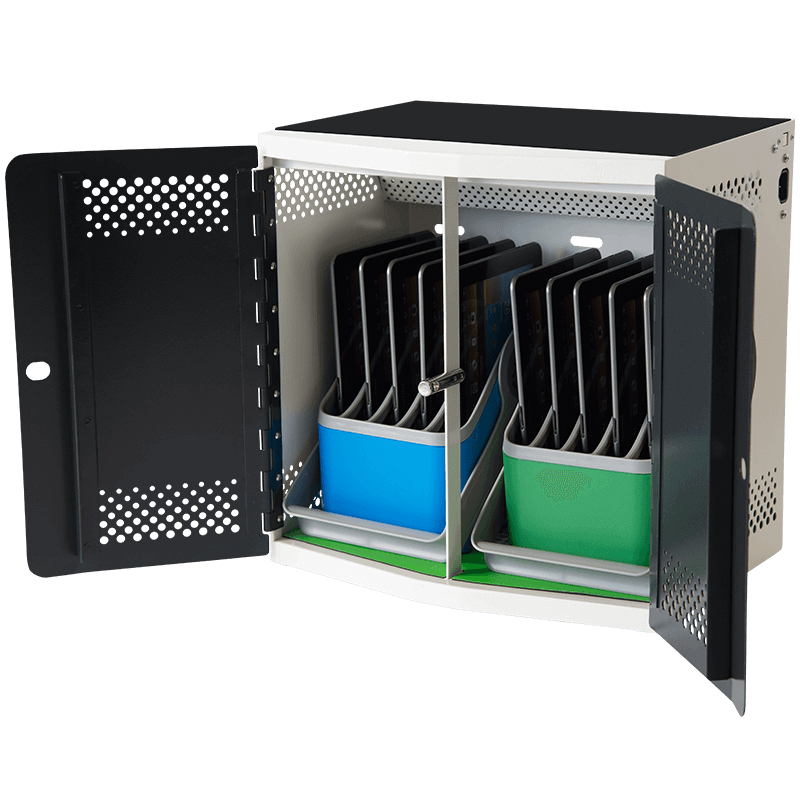 The iQ 30 Cart manages our syncing and charging whilst the Carrier 40 Cart’s secure and charge them”. Como Primary School rotate their devices through the 2 type of Carts they have available to them. 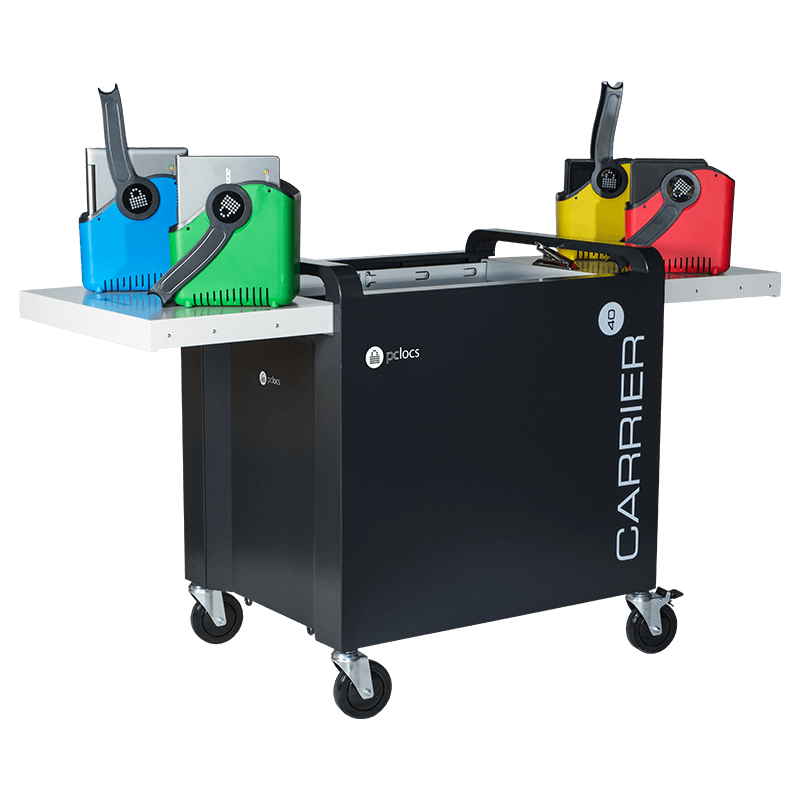 The Carrier 40 Cart and the iQ 30 Cart share the same basket so interchanging them between the two products makes it easy to rotate the devices between iPad Cart’s – When the devices need to sync, they are placed in the iQ 30 Cart, and if they only need charging, the Carrier 40 Cart is used. Ms Herne went on to say, “The Carrier 40 Cart has been fantastic… It has a different opening mechanism which is really easy to use. It’s a simple matter of grabbing the baskets, taking them to the classroom and handing them [the iPad devices] out. Rachel Martino, a teacher at Como Primary School, said that she enjoys teaching the students with the iPad devices and that School should be commended for implementing iPads into the curriculum. Ms Martino said, “The Carrier 40 Cart makes it so much easier for us to access the iPads… the kids love using them because they make learning so much more engaging… and with the baskets, we can hand them out to the kids really easily”.